I read my first Auster only a few weeks ago and decided he was fantastic; I love when a writer can combine a captivating page-turner with beautiful writing and truths I can relate to. My second of his novels- The New York Trilogy - did not disappoint. Once again I was delighted and disturbed with the world Auster offered me - a combination that appeals to me. Stories happen only to those who are able to tell them, someone once said. In the same way, perhaps, experiences present themselves only to those who are able to have them. From what I understand, The New York Trilogy is Paul Auster's signature work. As the title suggests, the book is a set of three, loosely-interconnected novels that each take place in New York City: City of Glass, Ghosts, and The Locked Room. Each tome is similar in theme - each of the story's main characters act as detectives searching for understanding.The set of novels offers a non-linear structure that adds to the dimension of intrigue and quite frankly, it works. With the exception of the second tome, I found myself wanting more and had difficulty putting it down. Auster manages to explore the idea of identity, change, language and life experiences in an authentic way. In the end, each life is no more than the sum of contingent facts, a chronicle of chance intersections, of flukes, of random events that divulge nothing but their own lack of purpose. This is a book that is best read slowly, to take it in as it was meant to be taken in. 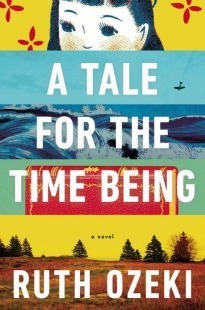 Sentence, paragraphs and stories interweave and connect to reveal a very post-modern novel that is full of existentialism and the metaphysical. After reading two Paul Auster novels I can understand why readers complain that he reuses ideas in older books to writer new ones. There were many similarities between The New York Trilogy and The Book of Illusions, namely in character and content. I still think Auster is great, but I am going to give myself a break before I read more of him. I don't want to overdo it and decide my captivating author has become banal. This was the book that really hooked me on Auster. Since then I've read several of his other offerings, all of his memoirs, and he just gets more and more fascinating. If you like his work, I suggest trying his wife, Siri Hustvedt. My favorites of hers: The Blindfold and What I Loved. I haven't read anything by Auster (yet), but the way you describe his writing in your first paragraph could be directly applied to my thoughts on Kazuo Ishiguro. (I'm reading my first of his right now and I LOVE it.) Just makes me all the more eager to read Auster! Andi, I had no idea his wife is a writer as well. I'll certainly look into her. Kathy, A few Kazuo Ishiguro novels are on my TBR list - I've heard great things. Keep it scarce after The Trilogy, because a few of these are just rehashes of the same concepts. Take a few months off Auster and try Moon Palace. You will love me for it!!! 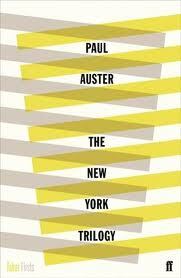 I haven't read Auster yet, and will add him to my 2011 to-read list! I have been looking for this book for a month now. I finally placed an order with the local bookstore. Can't wait to read it, it will be my first Auster..